Bangalore serves as a lighthouse to an ocean of hill stations, many of which are nestled amidst the Western and Eastern Ghats. The abundant flora and fauna, gurgling streams, gushing waterfalls, and scenic viewpoints available at these locales allure dozens of tourists every year. We take a look at best Hill Stations near Bangalore. Located in Andhra Pradesh, the Horsley Hills is a hill station which is coloured in multiple shades of mystery and adventure. Often it is compared with Ooty due to its charms and wonders. Several tourists are allured into visiting this location due to its natural gems like Kalyani the oldest known Eucalyptus Tree and Thimmamma Marrimanu the largest known banyan tree. Some believe it derived its name from W.D. Horsley, the collector of the Cuddapah District. Others say it named after a horse who had guarded the Gurramkonda Fort with great dedication. Once here history buffs should visit the Governors House and the Gurramkonda Fort which are both important relics of history. Other sites which may appeal to tourists include Gali Bandalu, View Point, Horsley Hills Zoo, Gangotri Lake, Chennakesava Temple, Kaigal Falls, Mallamma Temple, Kaundinya Wildlife Sanctuary, and Talakona Waterfalls. One can also indulge in trekking, rock climbing, swimming, zorbing, rappelling, rope sliding, elephant rides, crossing Burma Bridge, fish spa, and water walking. The landscape of Yelagiri is formed by a cluster of fourteen villages which sprawl over the hills of Vellore in Tamil Nadu and exhibit diverse tribal culture. In the past, the entire holiday destination had been under the Zamindari System until the government of India took control of it during the 1950s. The house of the zamindars who had once owned Yelagiri still exists in Reddiyur. Yelagiri houses some of the best trekking trails like the Swamimalai Hill Trail (highest point in Yelagiri), Javadi Hill Trail, and the Palamathi Hill Trail. You could also admire more of Yelagiri’s scenic beauty at the Punganoor Lake Park, the nature park, Nilavoor Lake, and the Jalagamparai Waterfalls. The Vainu Bappu Telescope Observatory allows you to admire the mysteries of our Solar System. One can also visit the Jalagandeeswarar Temple and the Velavan Temple or Murugan Temple for attaining some peace and the blessings of God. Tourists could also visit the Government Herbal Farm and the Government Silk Farm. Situated in Karnataka the Biligiriranga Hills or the BR Hills is a slice of paradise which has been garnished with a variety of exotic flora and fauna. The Soliga tribe has been living here for many years and one could visit their hamlets to savour some of the local cultures. To admire the local flora and fauna more closely tourists can head to the BRT Wildlife Sanctuary. It is situated between the Kaveri and Tungabhadra rivers and houses a diverse range of species like the Chital, Gaur, Sambhar, and the sloth bear. One should visit the Biligiri Rangaswamy Temple which holds the giant one-foot slippers of Lord Rangaswamy. The temple is situated on the highest peak of the BR Hills. Many come to visit the Dodda Sampige or the Big Champak tree which is worshipped by many local tribes. Tourists can engage in activities like fishing, river-rafting, and trekking. Sakleshpur also referred to as the “Poor Man’s Ooty” is a pleasant hill station located in Karnataka, which provides eye-catching views of the Western Ghats. Here one can find some of the richest coffee and cardamom plantations and beautiful wooden carvings. The hill station is filled with wonders which can be admired by tourists. History and architecture lovers can visit the Manjarabad Fort which had been built under the rule of Tipu Sultan and had served as an important structure of defence against British attacks. The Jenukal Gudda and the Bisle Viewpoint can be visited by tourists to get some excellent views of Sakleshpur and its surroundings. The Manjehalli Waterfalls is an ideal picnic spot and tourists could also get drenched under it. One can visit the Raxidi Coffee estate to take nature walks and to learn more about the cultivation of coffee. Sakleshpur also houses holy places like the Sakleshwara Temple and the Betta Byraveshwara Temple. Yercaud is a hill station nestled amidst the Eastern Ghats in Tamil Nadu and it is also known as the land of seven forests. 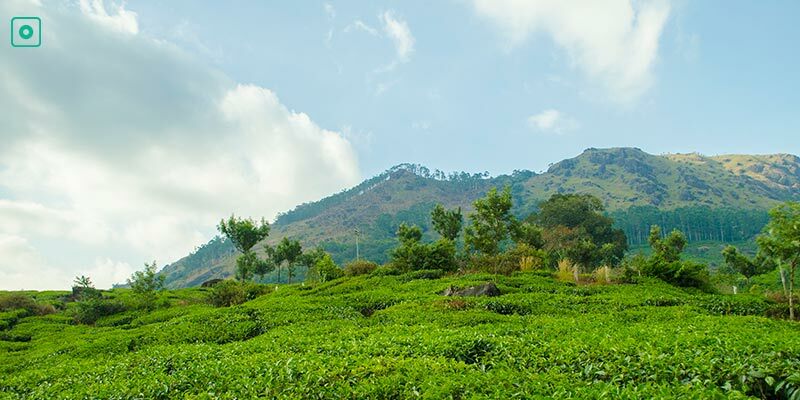 The hill station has been blessed with an abundance of fruit orchards, spice plantations, coffee, and tea plantations. Killiyur Falls, Emerald Lake, Bears Cave, Pagoda Point, Botanical Garden, Lady’s Seat, the Silk Farm, Anna Park, Karadiyur Viewpoint, and the Tipperary Viewpoint are some of the major sightseeing points. The Annamalaiyar Temple, Raja Rajeshwari Temple, Shri Chakra Mahameru Temple, and the Shevaroy temple are some spots where one can seek the blessings of the divine. 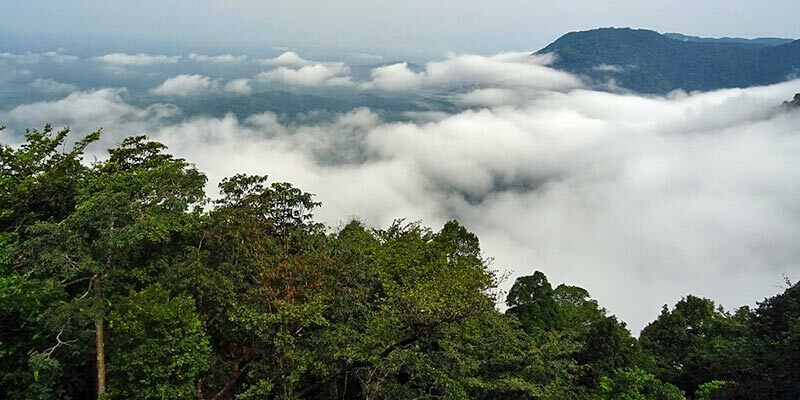 Masinagudi is a nature hub located in the Nilgiri district of Tamil Nadu which has been peppered with an abundance of wildlife and a lush forest cover. Mudumalai Wildlife Sanctuary, Bandipur National Park, and Theppakadu Elephant Park are some of the biodiversity hotspots worth visiting. 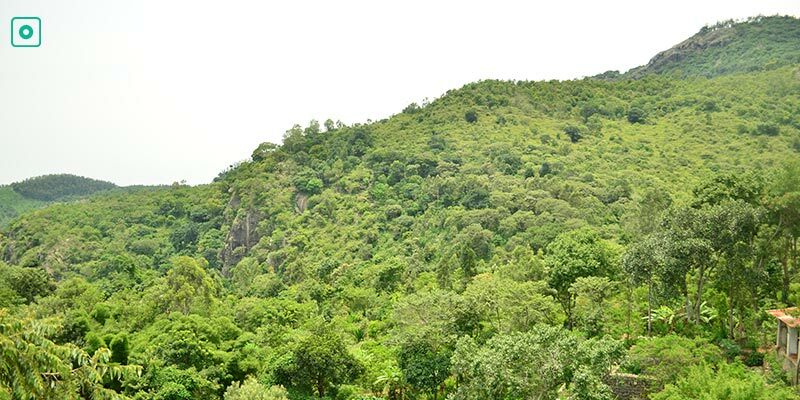 There are many ways through which one can admire Masinagudi’s natural beauty, you could go on a jeep safari, you could go birdwatching, you could trek or take nature walks, you could camp or you could spend some time at nature stay. The Maravakandy Dam and the Moyar River should also be included to the tourist itineraries. 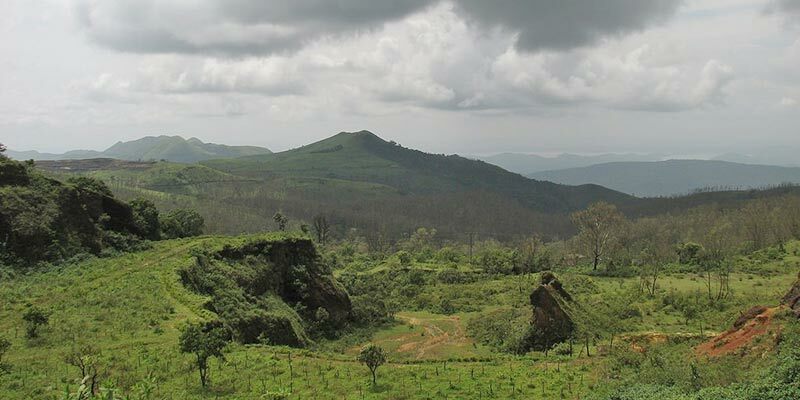 Chikmagalur located in Karnataka is the land where coffee was first cultivated in India. Tourists often enjoy the drive up to here from Bangalore while absorbing the picturesque beauty of this hill station and its surroundings. 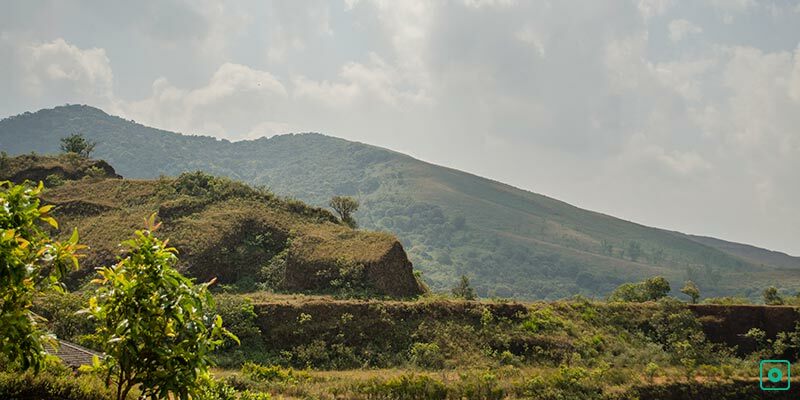 Chikmagalur means “The Land of the Younger Daughter” and according to certain legends, the land was a part of the dowry of Rukmangada, the youngest daughter of the great chief Sakrepatna. Many people often flock to Mullayanagiri which is the highest peak in Karnataka. One can also visit pilgrimage sites like Baba Budangiri, Kodanda Rama Temple, Horanadu Annapoorneswari, Temple the Sri Veera Narayana Temple, and the Amruteshwara Temple. Fauna and flora enthusiasts could admire the local ecosystem at the Bhadra Wildlife sanctuary. Other places which can be visited include Belur, Kavikal Gandi Viewpoint, Hirekolale Lake, Jhari Falls, Ayyanakere Lake, Seethalayanagiri, Yagachi Dam, Manikyadhara Falls, Halebidu, Kemmangundi, and the Bhadra Dam. The Kolli Hills located in Tamil Nadu is known as the “Mountains of Death” or Kolli Malai sue to the 70 hairpins like bends one has to face to reach the Hills and also due to the presence of Kolli Pavai, a ghost who according to legends seduces travellers and then kills them. Kolli Pavai also known as “Ettukai Amman” and the Kolli Pavai Aman temple was created to worship the ghost. The Kolli Hills had flourished under King Valvil Ori who according to a local legend had pierced an elephant, a tiger, a deer, a pig, and a monitor lizard in one go. The Agaya Gangai Waterfalls, Arappaleeswar Temple, the Boat House, the Botanical Garden, the Siddhar Caves, Mini Falls, and the Tampcol Medicinal Farms are places which visitors must explore. Seekuparai and Selur Nadu are two of the most strategic viewpoints from where you could admire the true beauty of the Kolli Hills. The lush greenery and hilly surroundings of Coorg create a romantic escape from the hum drum of daily life. Coorg or Kodagu had been ruled by numerous dynasties like the Cholas, Chalukyas, and the Hoysalas. 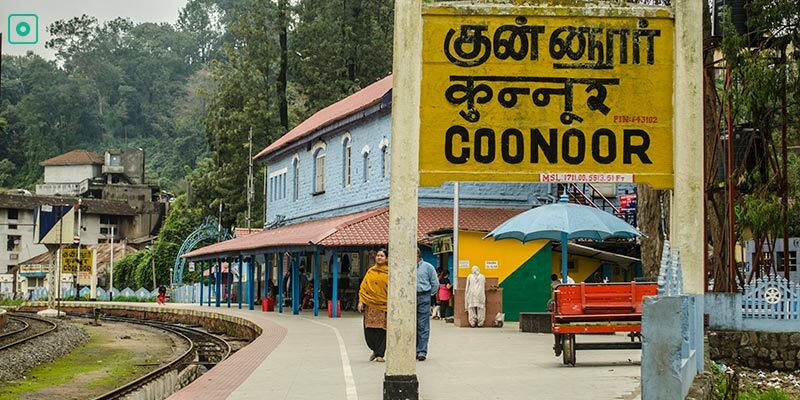 The gorgeous hill station of Coorg is located in Karnataka and it is often referred to as the ‘Scotland of India.’ Coorg has been adorned with some of the richest tea and coffee plantations of India. 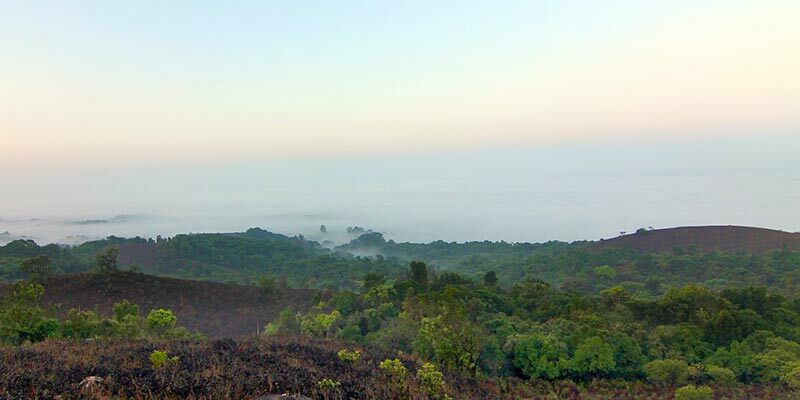 Scenic views of the Western Ghats can be availed from a height of about 1500 meters at the Raja’s seat. You could also enjoy a picnic at the Abbey Falls, Iruppu Falls Honnamana Kere Lake, Nilakandi Falls, or at the Mallalli Falls. Travelers could visit a range of sacred places like the Talacauvery, the Golden Temple, Omkareshwara Temple, and Bhagamandala. Other places to visit include the Barapole River, Nagarhole National Park, Tadianmole Peak, Madikeri Fort, Somwarpet, Pushpagiri Wildlife Sanctuary, Gaddige Rajas Tomb, Kutta, Brahmagiri Wildlife Sanctuary, Kopatty Hills, Nalakund Palace, and Chettali. Adventure seekers could indulge in activities like river rafting, trekking, and rope climbing. Coorg is one of the best places for fishing enthusiasts and birdwatchers. Once here you should also savour delicacies like bamboo shoot curries and the Pandi curry. Nestled in the Baba Budan range, the land of red soil or Kemmangundi houses Mullayanagiri, the tallest peak of Karnataka and is dotted by bamboo, tea, and coffee plantations. This tourist locale houses some of the riches gardens in India which are maintained by the Horticulture Society of Karnataka and are perfect for trekking, nature walks, and picnics. The Mysore King Krishnaraj Wodeyar IV use to summer here and later own he passed on his retreat to the government. Some of the best picnic spots include the Hebbe Falls, Kalhatti Falls, and Shanti Falls. Nature lovers could visit the Rock Gardens apart from these places. The Z Point, the Shiva Temple, and Rajendra Hill are some other places where tourists can wander off to. 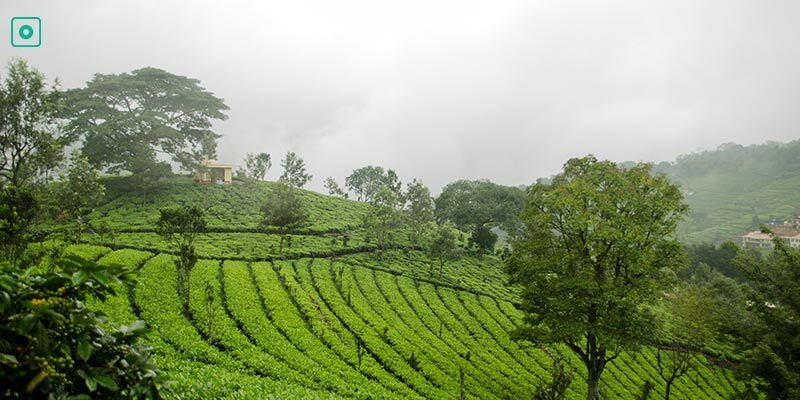 Ooty is considered to be the Queen Jewel of the crown formed by the Nilgiri Hills. Also known as Udhagamandalam, the hill station located in Tamil Nadu had once been occupied by tribes like the Toda’s until it fell into the hands of the East India Company. Luxury resorts, comfortable homestays, historic caves, rich plantations, abundant wildlife, and gorgeous waterfalls colour the canvas of Wayanad, a hill station located in Kerala. The hill station holds an important place in India’s history. 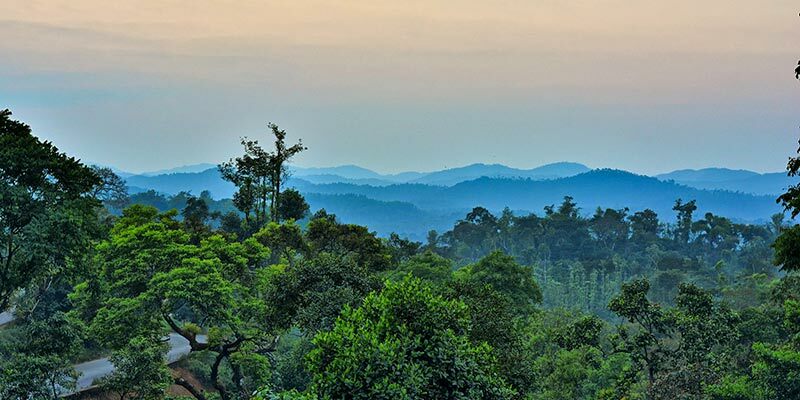 Wayanad houses both endangered and endemic species at the Wayanad Wildlife Sanctuary, which holds the record of being the second largest sanctuary in Kerala due to its enormous size. 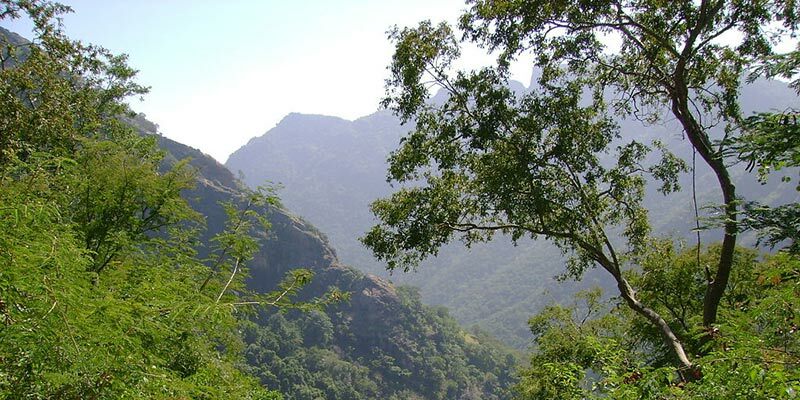 It is said that Wayanad has been inhabited since the Palaeolithic age. The Hoysalas, Kadambas, and the Kutumbiyas were some of the dynasties which ruled Wayanad. However, Raja Pazhassi of the ancient Kottayam left Wayanad with a richer history than most. Later Wayanad was conquered by Tipu Sultan and then the British. Banasura Dam, Chembra Peak, Pookot Lake, Soochipara Falls, Kuruva Dweep, Lakkidi Viewpoint, Kathanpara Waterfall, Neelimala Viewpoint, Pakshipathalam Bird Sanctuary, Chethalayam Waterfalls, Palchuram Waterfalls, Vythiri, and Kalpetta are some spots where the local nature can be admired. Other historically, culturally, and religiously rich places include the Edakkal Caves, Sulthan Bathery, Chain Tree, Thirunelli Temple, Wayanad Heritage Museum, Pallikunnu Church, Koottamundu Glass Temple, and the Verambetta Mosque. Coonor or the Green Valley is on the second position amongst the largest hill stations of Nilgiri due to its enormous size. Tourists flock to Coonor to spend some time amongst the abundant flora and fauna that can be found at the hill station. Tourists who desire to visit the unexplored can head to the Hidden Valley. Located in Tamil Nadu, Kotagiri has carved its position as the oldest and smallest hill station found amidst the gorgeous Nilgiri Hills. The Kota tribe has been living at the hill station for many years but it was the British who shaped it into its present state. Two civil servants who had been working under the Madras Government had stumbled onto the hill station while pursuing outlaws and they presented it with the name "Kotacherry". John Sullivan, who had been the collector of Coimbatore visited the area and fell for its charm. As a result, he became the first European resident of this tourist locale. Kotagiri is home to numerous trekking trails which go up to the Elk Falls, Longwood Shola, the Catherine Falls, and the Kodanand Viewpoint. Visitors should explore the John Sullivan Memorial and the Rangaswamy Peak and Pillar. Kudremukh is a tourist locale which adds to the beauty of the Western Ghats located in Karnataka. 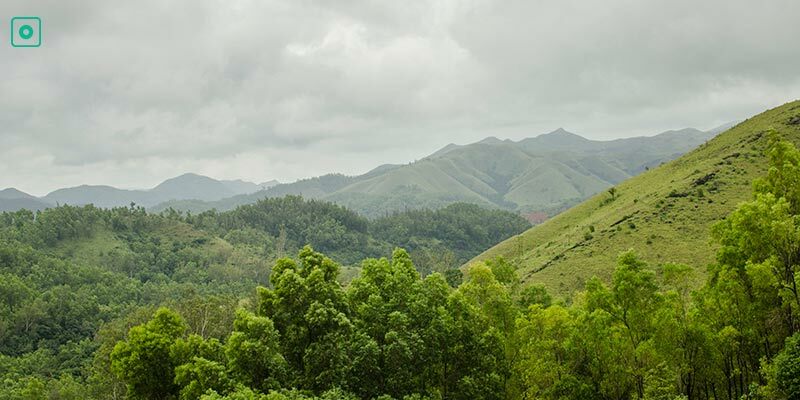 Tourists can explore the Kudremukh National Park which houses many endemic and endangered species. The Chital, the Barking deer, the Malabar Giant Squirrel, the Wild Boar, and the Flying Squirrel are some of the fauna that can be found here. 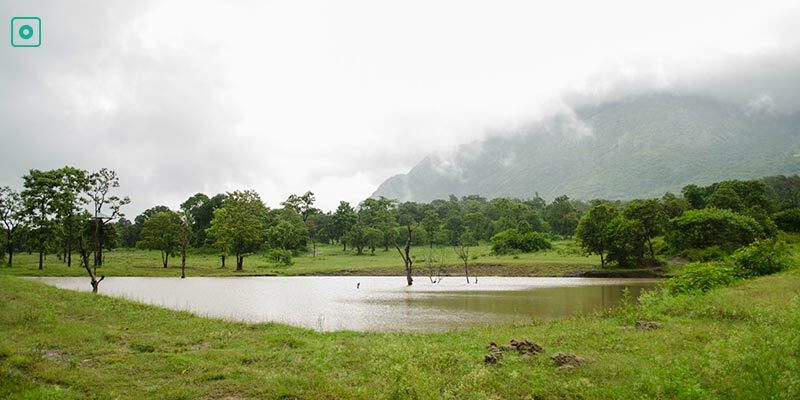 Adventure Lovers can venture out on numerous trekking trails which generally start from Lobo’s Place. Apart from trekking one could also take part in rock climbing and swimming to spice up their trip. Nearby holy spots include the Kalaseshwara Temple located at Kalasa and the Adi-Shaktyamaka Shri Annapoorneswari Temple located at Horanadu. The Hanuman Gundi Falls, Gangamoola, Janta Market, and the Lakya Dam are other places that tourists often love to visit. Located in the Shimoga district of Karnataka, Agumbe is a low-lying rainforest which served as an inspiration for the fictional town of Malgudi around which the tv show Malgudi days was made. It receives the highest amount of rainfall in the south and so it is often referred to as the ‘Cherrapunji of the South.’ The Agumbe Rainforest Research Station is located which is India’s oldest weather station can be found here. A large population of Cobras can be found in Agumbe and hence Agumbe is India’s ‘Cobra Land.’ Agumbe has been peppered with numerous waters falls such as the Kunchikal Falls, the Barkana Falls, Onake Abbi Falls, Koodlu Theertha Falls, and the Jogigundi Falls. Apart from visiting the waterfalls, one must visit the Gopala Krishna Temple and the Sunset Point. 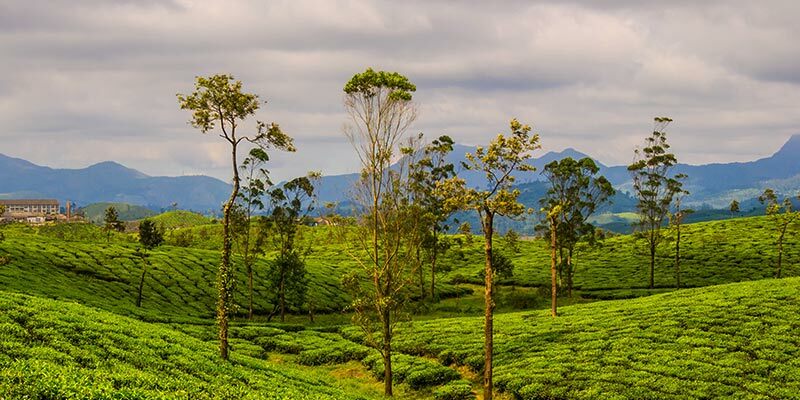 Valparai is a quaint little hill station located in Tamil Nadu which has a dense forest cover and attracts dozens of photographers, trekkers, adventure lovers, bird watchers, and wildlife enthusiasts every year. To admire the beauty off the hill station and its surroundings you could head to Loams Viewpoint, Nallamundi Viewpoint, and the Thalanar Viewpoint. You must visit the Sholayar Dam which has bagged the second position amongst Asia’s deepest Dams. Other places to sightsee in and around Valparai include Thalanar Valley, Kurangumudi, Lower Nirar Dam, Manamboly, Kadamparai Dam, Aaliyar Dam, Monkey Falls, Grass Hills, and the Karamalai Annai Velankanni Church. 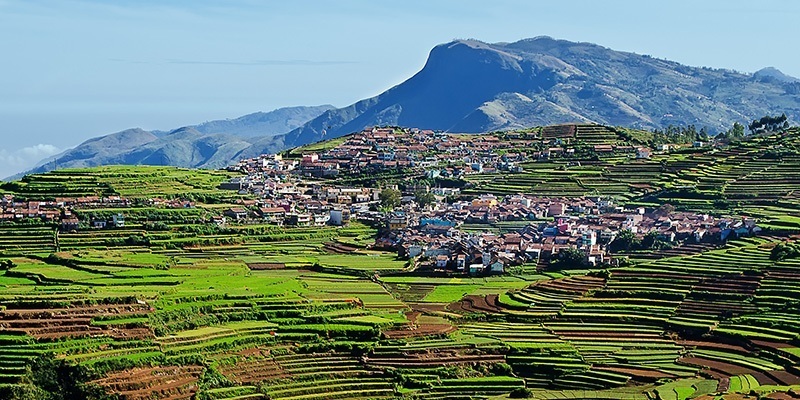 Kodaikanal can be found amidst the Palani Hills of Tamil Nadu and its landscape and surrounding paints such an enchanting picture that its often referred to as the “Princess of Hill stations.” Literally known as the gift of the forest, Kodaikanal allures hundreds of honeymooners with its diverse attractions. Although according to historical records Palaiyar tribe had originally inhabited Kodaikanal, it had been whipped into its present form by British Bureaucrats and American Christian Missionaries. Kodaikanal is dotted with trekking trials such as the Dolphin Nose trek, the Periyakulam Adukkam trek, and the Vattakanal Trek. The Green Valley View Point, The Pillar Walks View Point, and the Silent Valley View Point offer some of the best scenic images you will ever see. 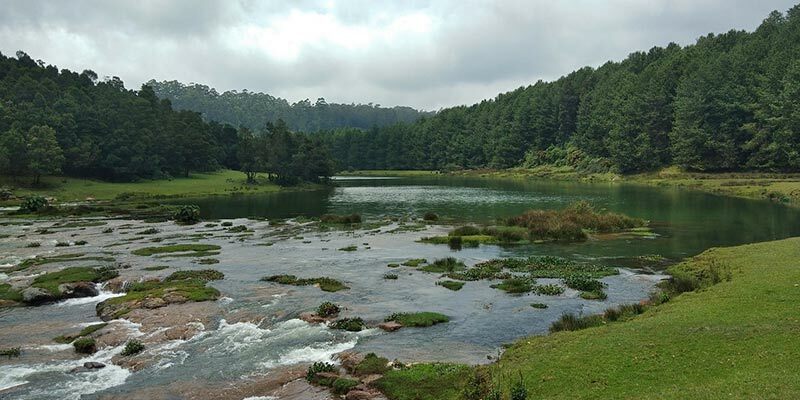 To admire the real beauty of Kodaikanal you must visit the Coakers Walk. Tourists could also add the Bear Shola Falls, the Bryant Park, Silver Cascades, Devils Kitchen, Berijam Lake, the Kurinji Andavar Temple, the Shembaganur Museum, and Christ the King Church to their itineraries. The hill station of Munnar is located in Kerala and is embraced by the beauty of the Western Ghats. Couples could spend romantic evenings here in the chilly air while drinking some of the best tea in India. It lies on the banks of the Madupetti, Nallathanni and Periavaru rivers which provides an ideal ecosystem for endangered species like the Nilgiri Thar and the Neelakurinji.